"Key West of the West Coast of Florida"
Surrounded on three sides by water, 2 miles wide and 7 miles long, Anna Maria Island offers a glimpse into Old-Florida. This charming Barrier Island nestled on the Gulf of Mexico boasts beautiful turquoise waters and white sandy beaches. Visitors will feel the difference immediately upon entering the island. Devoid of high rise condos and fast food restaurants, this quaint island has retained its slow paced lifestyle. The downtown area offers local boutiques, shops and restaurants which serve regional delights. Comprised of 3 vibrant towns each catering to the relaxed lifestyle of beach front living, each with its own personality. Anna Maria Island has six beaches on both the Gulf and Bay sides. 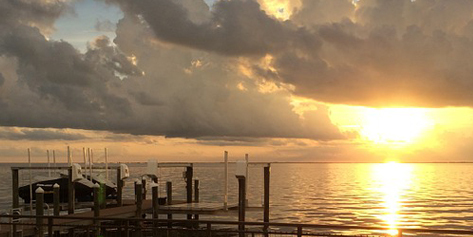 Visitors can enjoy views of sunrise to sunset over the water without leaving the island. Its powder-white coastline is home to loggerhead turtles, manatees and bottlenose dolphins. 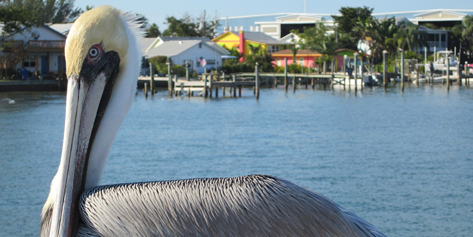 Anna Maria City is a designated bird sanctuary and local beaches provide nesting areas for local wildlife. Anna Maria Island is home to Leffis Key Nature Preserve. Located across from popular Coquina Beach, Leffis Key is protected species habitat and offers visitors beautiful walks and views. The Nature Preserve has 1500 feet of boardwalks which trail through the mangrove forest. There are carefully placed platforms which overlook the open water of Sarasota Bay. Located in the center of the Preserve is a 26-foot high hill which offers a 360° view of Sarasota Bay and the Gulf of Mexico. 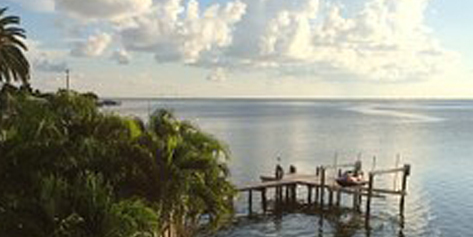 As with all the Barrier Islands, Anna Maria Island life is centered around the beaches and water sports. Visitors and residents can be seen riding the free trolley that runs the length of the island or their beach cruisers down to the water at all times of the day. Boating, fishing, kayaking, paddle boarding and swimming are popular pastimes and local businesses offer daily rentals. Just off the coast, the coastline offers spectacular snorkeling and scuba diving areas where colorful local marine life is abundant. Anna Maria City is the Northern most of the three small villages on the island. This friendly, easy-going location offers a relaxed lifestyle for residents. Completely surrounded by water, homes range from cottages to larger, luxury properties all reflecting the Old-Florida architecture. 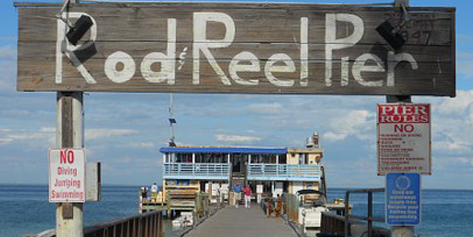 Anna Maria City is also home of the famous Rod + Reel Pier and Restaurant. Mid-Key, Holmes Beach, dates back to the late 1800s and started as a fishing town. Careful consideration is taken to preserve the historical charm of this community. Homes reflect the Key West style and even the luxury villas exude Old-Florida style. You can find Walgreens, Publix and access to the Mainland via the north bridge on Manatee Avenue. Bradenton Beach is located at the southern end of Anna Maria Island and has miles of white sand and crystal clear water. Residential homes vary from classic to modern and villa to bungalow offering housing options for all tastes and budgets. Historic Bridge Street, where the original bridge was the only means of access to the island, is now a hot spot with shopping, island dining with live music, an awesome pier, and lots of fishing and fishing charters. Some areas of Anna Maria Island are so remote, with few people, it feels like your own “private” beach. It is no wonder that the Island mantra is Rest. Relax. Repeat. Anna Maria is 3,000 years old! Carbon dating and samples taken by the University off Florida suggest that the formation of the land mass dates back approximately 3,000 years.